is all about summer-which to me means beach! There are a few stamp sets used here. The main one is From Land to Sea. Love it! It has everything I love in it! The sentiment is Sassy Salutations. There is a bit of Gorgeous Grunge to "bubble" up the water, and the beautiful star thing from Kinda Eclectic is the light from the lighthouse. Throw in a bit of bling-of course-with Crystal Effects & Silver Stampin' Glitter & it looks like the breakwater in the waves. The water is just a simple watercolor wash with my Aqua Painter. So hope I made you feel like summer is still in the air! 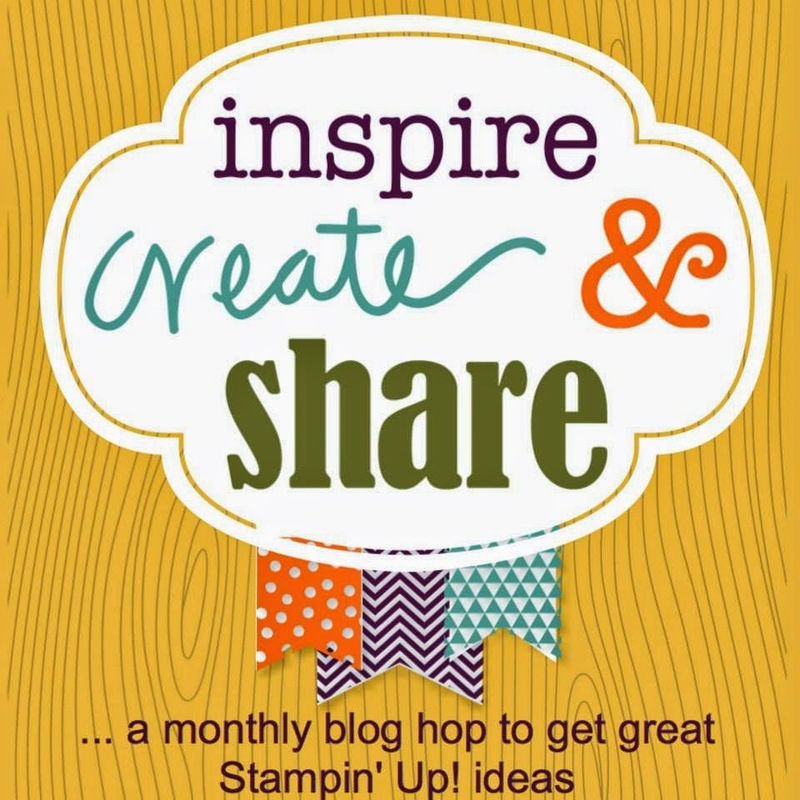 Now hop on over to Claudia's blog & see what beautiful summer design she came up with! Just click the picture below, or click on her name! Either one will take you there! 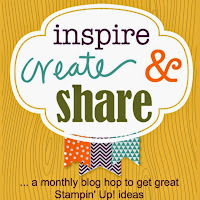 Don't miss a single blog on this hop! Keep going! There is some serious talent here! Don't forget to leave a comment! Maybe you'll get some ideas of your own! Wow that is quite a combination of stamp sets...it comes together very well. Love it! Thanks for hopping with us this month! Love the light coming out of the lighthouse! Awesome card! Love the use of all these sets to make an awesome looking card! Joni, love the detail on this card, just perfect! what a creative card! Love that glitter, well and everything! Beautiful card, love the lighthouse. So much going on here that is great... very creative use of the various stamps, and as far as the eats... are they endangered?? The lighthouse sets this card perfectly! I love the combo of all the stamp sets! 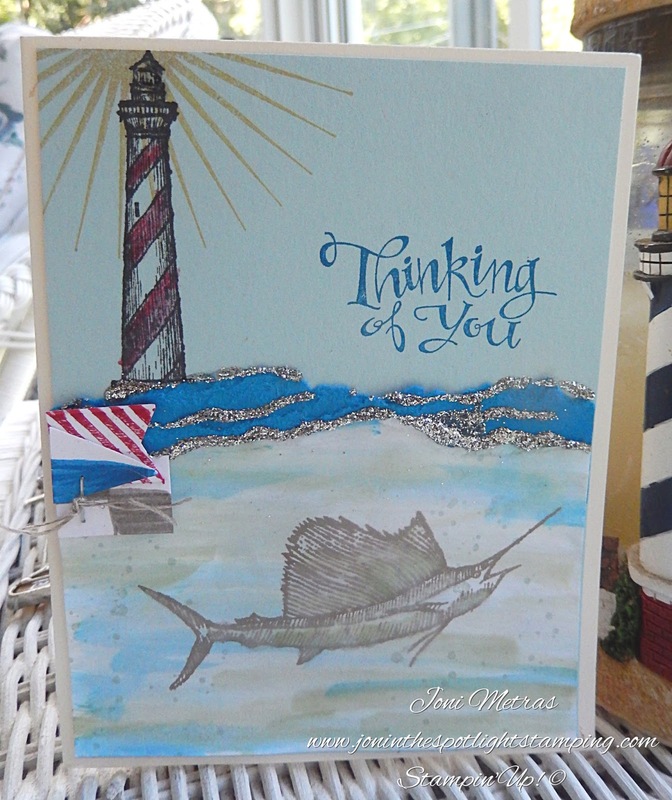 Great card - love the waves and the sailfish!